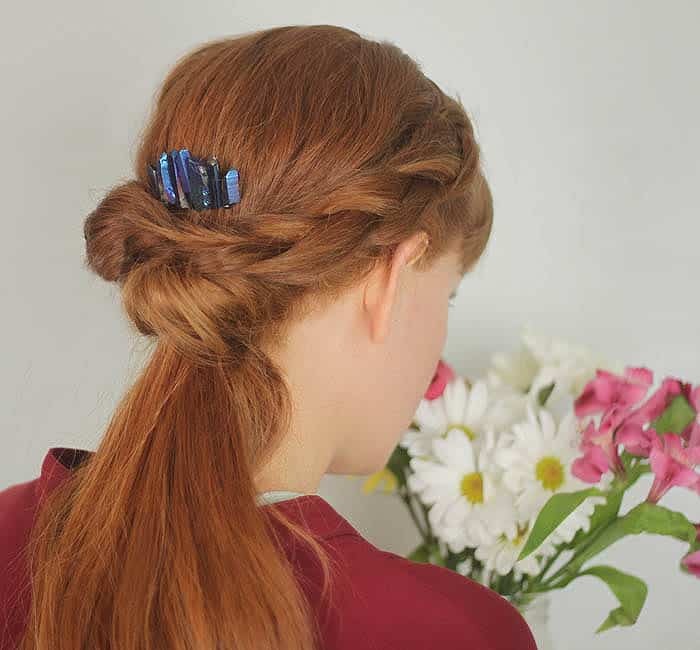 I love hair combs. 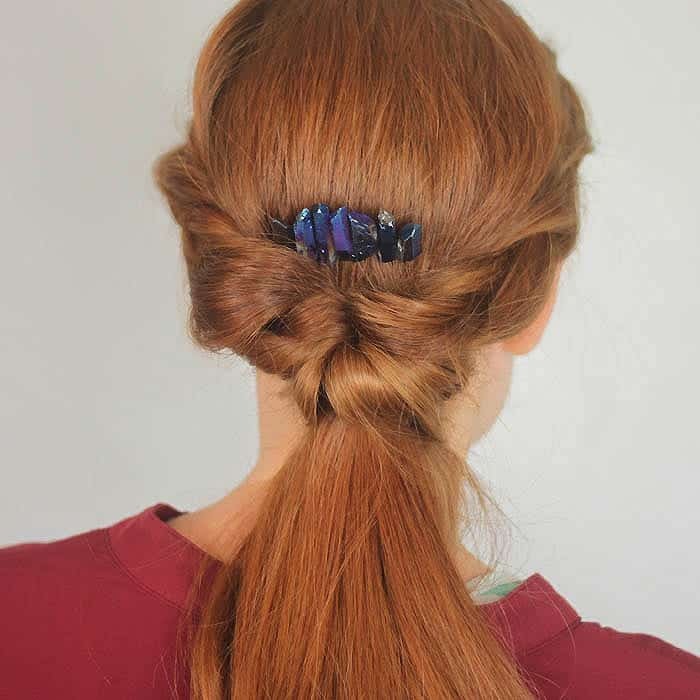 They’re a great way to add some fancy to a braid or bun. The plain metal ones (sold at craft stores) are so easy to customize! 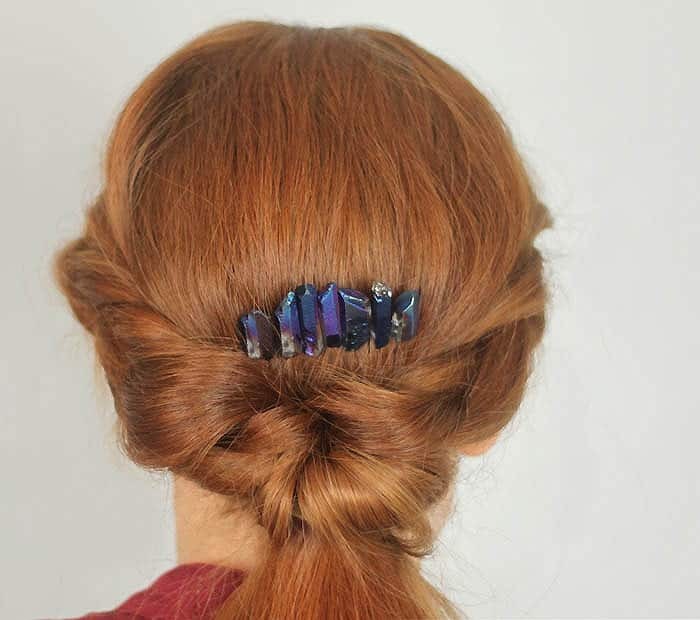 This 2 minute Spiked Crystal Hair Comb is really versatile. It can be dressed down for music festivals or up for formal events. 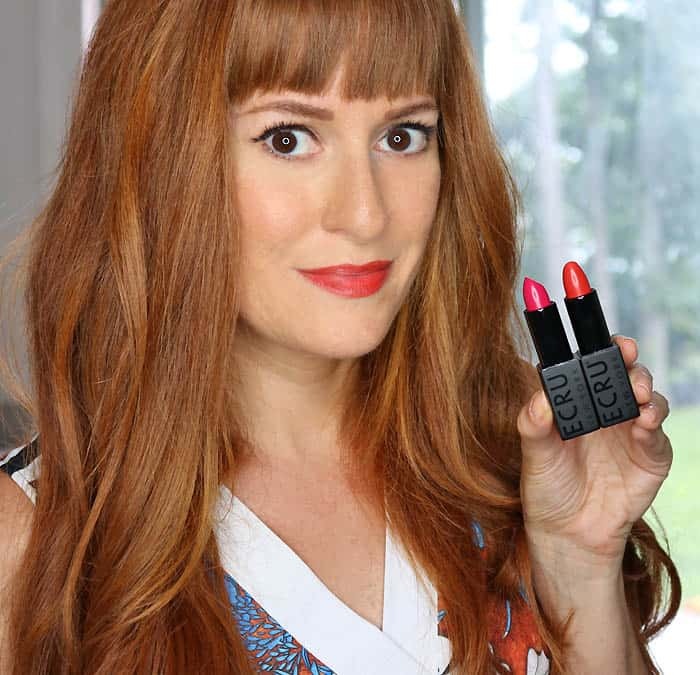 I used these Luster nuggets which I’m pretty obsessed with! 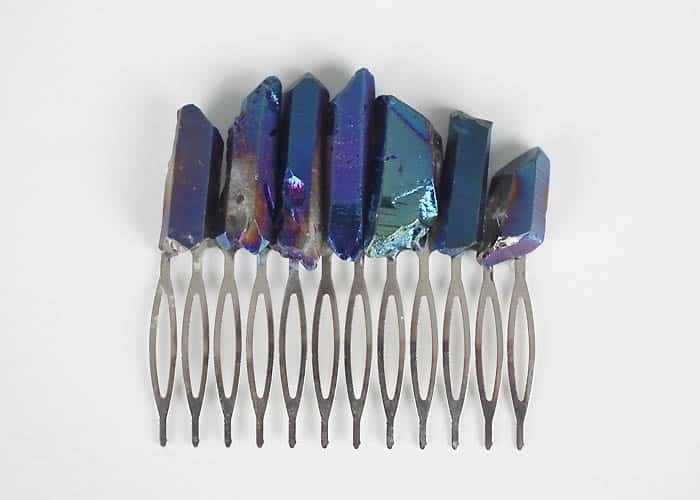 I’ve used them several times before for DIY jewelry projects. I love the iridescent color and the jagged shapes. Best of all? No one will ever guess that it took you 2 minutes to make this! 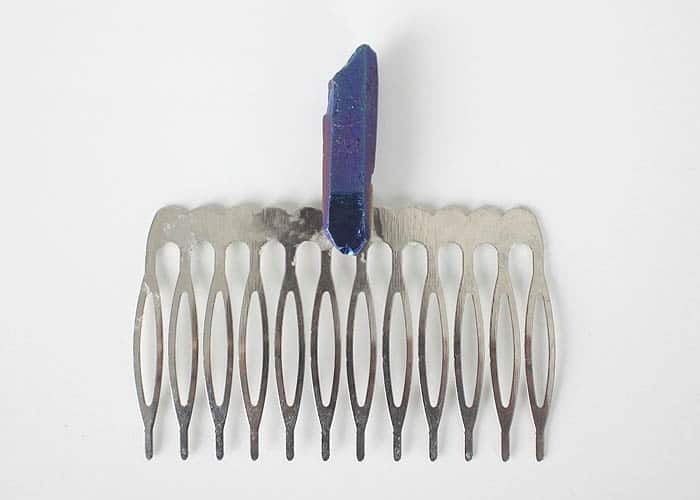 Starting in the center, glue the longest crystal to the comb. 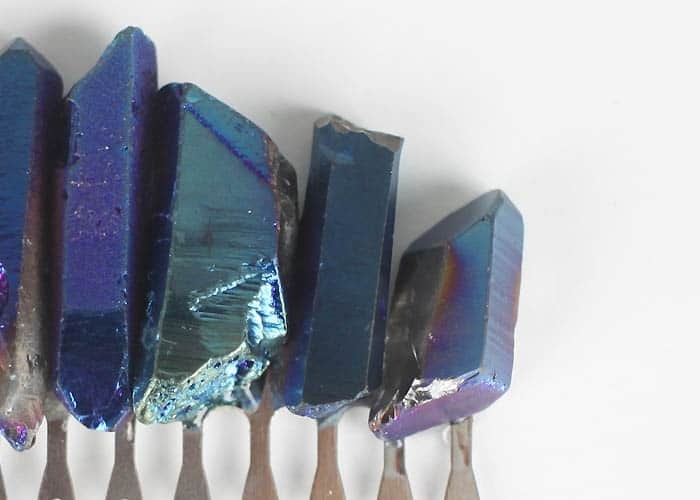 Glue the shorter crystals to the side. Glue the crystals to the other side. Wait 15 minutes to make sure glue is completely dry. 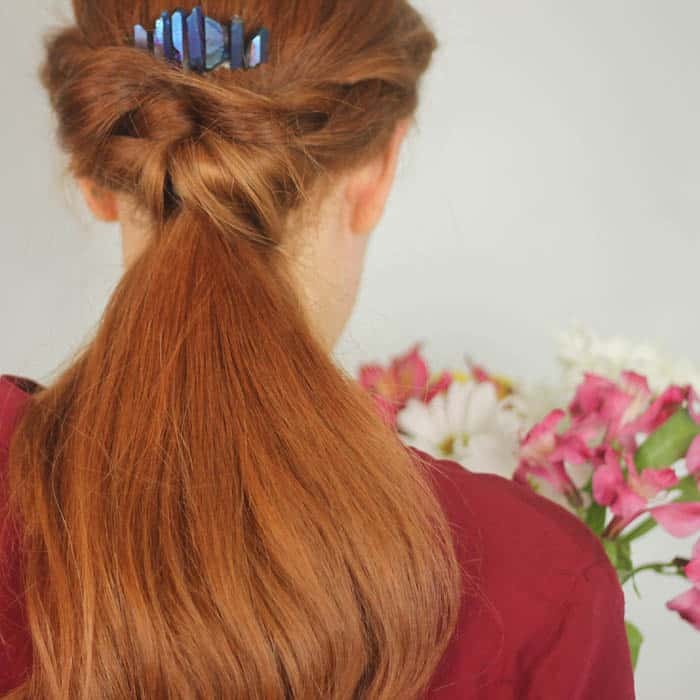 Beautiful hair & I love the comb!